What effect will the reduction in troops in Iraq that Obama has promised have on defense spending? No one can deny that since the invasion of Iraq in 2003, a significant portion of the federal budget has gone towards funding this particular war. The Obama Administration has promised that 2010 will see a notable reduction of troops in Iraq. But the question remains, will this drawdown have any positive or negative fiscal effects on defense spending within Obama’s recently proposed 2011 budget? 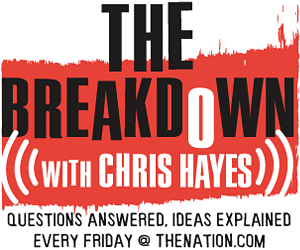 On this week’s The Breakdown, The Nation‘s DC editor Chris Hayes, with special guest Washington Independent reporter Spencer Ackerman, dives into the war chest to find out.